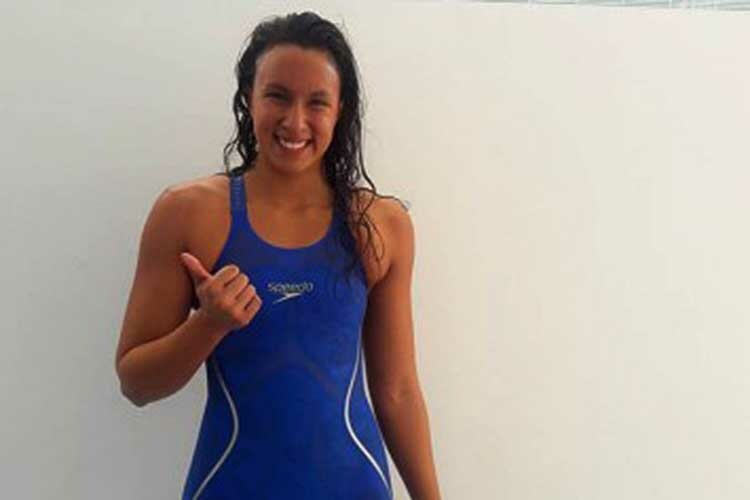 JAKARTA, Indonesia — Jasmine Alkhaldi made it to the final of the women’s 100-meter freestyle event in the 18th Asian Games swimming competition at the Gelora Bung Karno (GBK) Aquatic Center here. Alkhaldi registered the sixth best time of 56.38 seconds during the morning heats. Defending champion Rikako Ikee of Japan topped the qualifying heats with a time of 54.33 seconds. She holds the Asian record of 53.03 seconds and Asian Games record of 53.60 seconds. China’s Zhu Menghui was second (54.67) followed by Japan’s Tomomi Aoki (55.57), China’s Yang Junxuan (55.78) and Korean Ko Miso (56.35). Hong Kong’s Cheng Camille Lily Mei ranked seventh with a time of 56.47 seconds while Thailand’s Kornkarnjana Sapianchai clocked 56.49 second for eighth place. The final is set at 6:43 p.m. (7:43 p.m. Manila time). “I’m so happy, this is my first time to qualify in the final,” said Alkhaldi, who also competed in the 2014 Incheon and 2010 Guangzhou Asian Games, in an interview on Monday. “I’m confident, it’s just about performing. I hope to surpass my time in the qualifying. I will definitely do my best in the final,” said Alkhaldi, a marketing management graduate from the University of Hawaii in Honolulu. Alkhaldi has competed in the 2012 London and 2016 Rio de Janeiro Olympic Games. She also joined the World Championships in Hungary (2017), Russia (2015), Spain (2013) and China (2011).